I’ve had this problem on and off for a while. It wasn’t too bad at first, but now, for some reason, it’s gotten really annoying. So, here’s what’s going on. I open File Explorer and click on a picture folder and then I scroll down through the thumbnails and then after about a minute it would jump back up to the top again– over and over this would happen. So I went online and found a solution. This seems to work for some people, but not others. It worked for me. I scrolled down to the bottom of the pictures in the folder and left it for almost an hour and it didn’t pop back up. If you’ve had this problem and have found a different solution, share it in the comments. And thank you. I had the same problem, it was fixed by going to personalize, then background and put it on picture instead of slideshow, change picture every minute and shuffle where I usually had it set. It seems to be looking for file to show. Just disabling this accent colour changing thing did it for me. I did not have to disable the slide show. 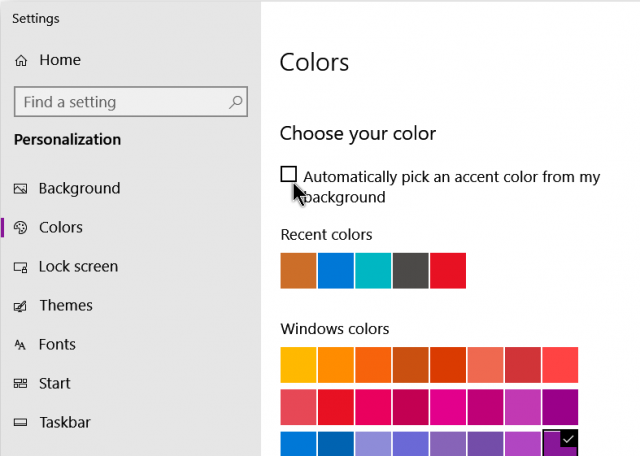 Every time the colour changes the desktop has to refresh itself and that also refreshes the explorer window. Thus if you scrolled to the bottom of a long list of files you’ll be sent to the top.